Become a GaylerdGUITAR™ Affiliate Member and earn money by spreading the word about my site. Yes, it’s that easy! Get rewarded for doing it! 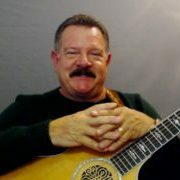 Look, I realize www.Gaylerd.com (GaylerdGUITAR™) is not as popular as some of the other online guitar lessons sites… YET! But I want to change that and I need YOUR HELP to do it. And all you have to do is spread the word about my site. When someone you referred purchases a membership, I’ll send you a financial gift, via PayPal, equal to 20% of their initial total purchase price (minimum purchase price $20.00). It’s that simple. My average list price is about $115, so your reward would be about $23. Just for referring. And all they need to do is let me know you referred them. They can send me an email, contact me through the website, or you can even do it for them. Just let me know anyway you can within 3 days of the purchase and I’ll send you your gift! All payments will be handled by PayPal, so you may have to create a Paypal account to receive your transaction. If you have any questions about my affiliate program, send the Contact Me email form. Does not apply to purchases made by you. This Affiliate Program may be changed, modified or discontinued at any time. In that event, I will send notice to the email address you have on file in your GaylerdGUITAR profile. By becoming a GaylerdGUITAR Affiliate Member, you agree to these Conditions of Use. Please read them carefully. As an Affiliate Member of GaylerdGUITAR, you consent to receive communications from us electronically, such as e-mails, texts, mobile push notices, or notices and messages on this site and you may retain copies of these communications for your records. You further agree that all agreements, notices, disclosures, and other communications that we provide to you electronically satisfy any legal requirement that such communications be in writing. All payments will be handled by PayPal, so you may have to create a Paypal account to receive your transaction. This program does not apply to purchases made by you., and you will not receive commission money for such purchases.